Last month TorrentFreak had an article about Professor John Stinchcombe of the University of Toronto explaining how he uses the concept behind bitTorrent to explain DNA sequencing. You can see the slide below (which even includes an image the Pirate Bay logo 🙂 ) where he draws the comparison. What’s so cool about this to me is not just that prof Stinchcombe is using new, relevant technologies to explain biological concepts like DNA sequencing, but more broadly how this exemplifies how important it is for all of us to explore and imagine the contemporary conceits that surround us with this new technological moment. Language is how we will make sense of this stuff, it’s how we will both question and directly challenge the determinism that is often concomitant with new technologies. The poetry of the 21st century will be written, filmed, or designed through these new, de-centered technologies that connect a new world, while at the same time control and expose it like never before. It’s a multi-headed hydra (to push a metaphor) that we need to play with both conceptually and linguistically just as much as we dictate its uses and abuses pragmatically. This entry was posted in art, bitTorrent and tagged art, bitTorrent, control, design, film, image, poetry, teaching, torrentfreak. Bookmark the permalink. The dangers of deterministic cut both ways. There’s nothing about the new conceits and media on offer that automatically entail progress, transparency, sharing, and All Good Things. That said, I agree (of course I agree!) that there is potential here for a vast array of expressive languages, and unprecedentedly powerful meta-languages, that could actually bring us closer to the dreams of Engelbart and Kay and Turkle and Murray (and many others). What I fear is not politicization–it’s all about the polis, sure–but poor, old, bankrupt politicization (I include Foucault here, sorry!). We need new political paradigms, or maybe a return to older political paradigms, that can help us imagine abundance and reaffirm the potential each of us have for truth- and symbiosis-seeking (latter phrase courtesy of Phil Long). Fewer diagnoses and more invitations, something the bava is uniquely good at, by the way…. We have to be cautious in the metaphors we choose, and know our audience. I suspect that even if every member of one of my classes had used BitTorrent, few would be able to explain the principles behind it. How useful, then, is the comparison, pedagogically? Very useful if we don’t assume that the analogy works by itself. 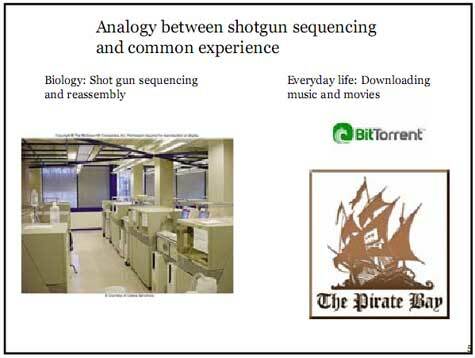 We have to explain BOTH BitTorrent and DNA sequencing. When I pull analogies from a movie, I have to review the movie first for the 80% plus of the class who haven’t seen it. That’s fine, since they get some free film education with their politics. Thus we must guard against the whole ‘digital native’ misconception about the current generation of students – be prepared to explain your technological image, rather than assume its transparency. Don’t assume they understand web2.0 any more than assume they know the classics. 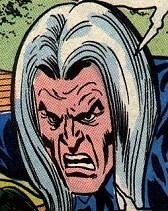 Be ready to explain that a hydra is, indeed, ‘multi-headed’. The death of canonical knowledge is both freeing and also generative of this kind of patient explanation of everything we use to refer to everything else. There is poetry in the creatively deployed metaphor, yes, and also often comedy and other virtues. There is also a lot of hard, basic pedagogical work. @Gardner God save the Queen? Other than that—and I’ll look past your disregard of foucault who makes the pre-conditions of the death of canonical knowledge possible 🙂 —I couldn’t agree more. More to the point, I have to dig out my Archaeology of Knowledge to show you and Steve Wheeler just how much richness you are missing in Foucault’s insane linguistic formations— for he is part of a traditi that he is at the same time attempting to re-imagine, and by extension re-write. But never an apologist, I’ll just say that what is fascinating to me here is that with one nicely situated analogy a professor can have his/her students thinking about DNA shotgun sequencing in the same stroke as movie pirating. And, @edwebb, therein lies the genius. For whether or not we assume all students know what bitTorrent is, or how it works (I agree entirely with the facile nature of the digital native assumption) the analogy provides a chord of interest and an immediate way to simultaneously think about two seemingly distinct and radically different practices. So, even if you don;t understand bitTorrent, your understanding of the DNA might give you a new way to enter thinking about an extremely relevant and important means of distributed information in our day and age. I think how contemporaneous the analogy and how intelligently drawn means everything. @Jim thanks for your characteristically generous and inspiring response. We really are largely in agreement here. Two quick observations, however. One is that you need to show me where Foucault stops being so self-aggrandizing and defines and serves a larger purpose. Two, can the idea of a larger purpose exist within the idea of “the death of canonical knowledge”? I don’t think so, and I think Foucault is trying to pick our pockets by saying such things. But the power of the oblique and revelatory analogy? You’ll get no quarrel from me there!